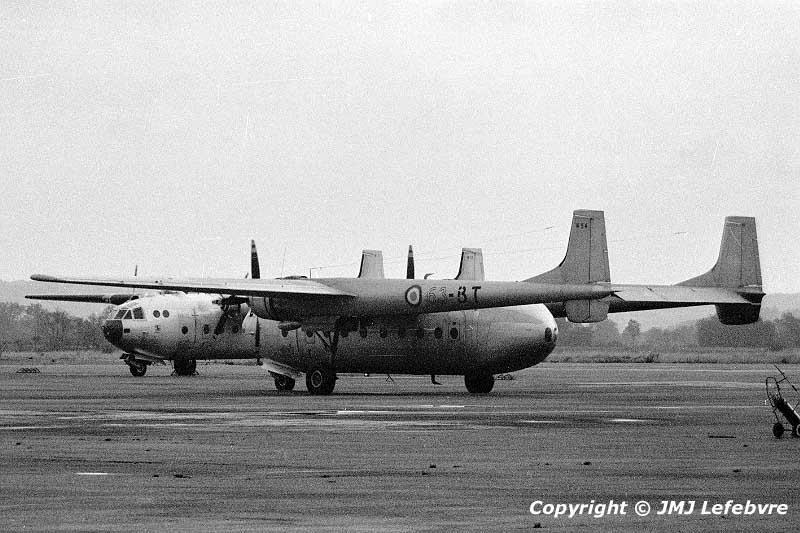 The Nord 2501 Noratlas coded BT belonged to EC 2/63 Bigorre based at Pau where this quadron was entirely devoted to the Paratroopers Instruction Center activities totalling during 1971 114,855 drops for 20,009 trainees of which 356 were foreign. Certificates delivered totalled 14,007. The first squadron of the 63rd Transport Wing, the EC 1/63 Bretagne was then assuming permanent African detachment at Thies, Senegal.